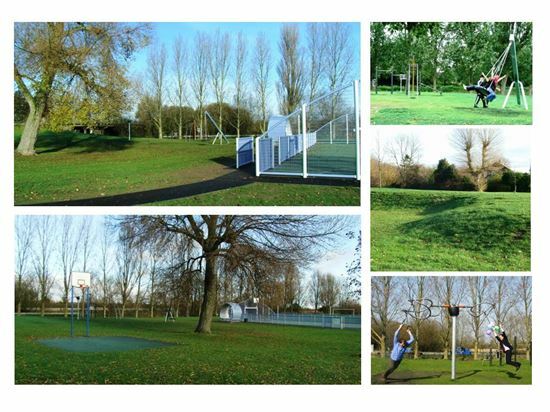 An attractive and large open space popular with walkers as it links to the Aylesbury arm of the Grand Union Canal. Free to use synthetic surfaced multi-use games area suitable for football and basketball. Stand alone basketball hoop and rubber surfaced square. Disabled parking bays available adjacent to the open space. Good pedestrian access via hard surfaced path that can be accessed from the small adjacent parking area off of Oakfield Road.